For three years Andrew Carroll traveled throughout the United States and around the world to seek out the most powerful and unforgettable letters ever written during US wars. 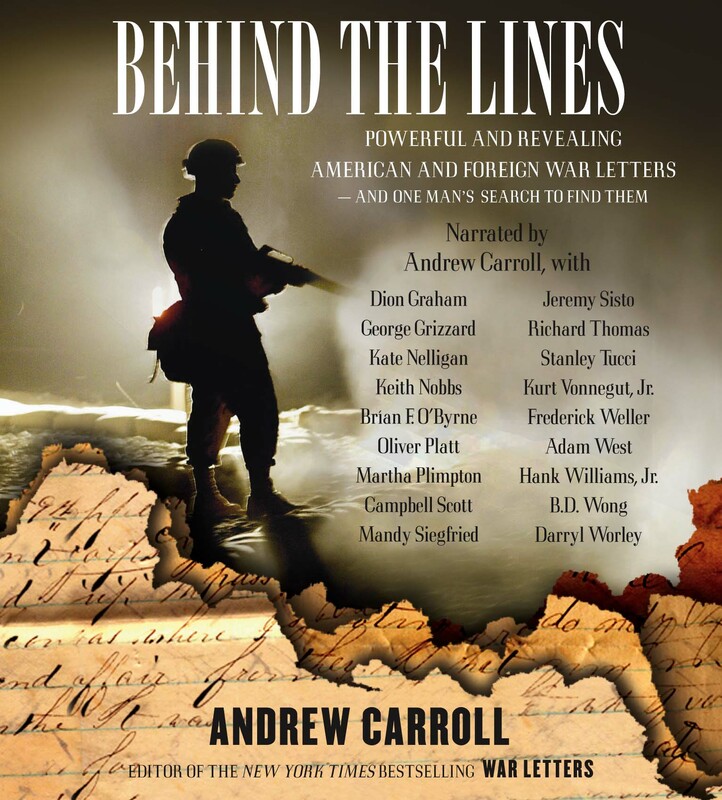 Behind the Lines is the result of that extraordinary trip and represents the first audiobook of its kind: a dramatic, intimate, and revealing look at warfare as seen through the personal correspondence of US and foreign troops and civilians who have experienced major conflicts firsthand. From handwritten missives penned during the American Revolution to e-mails from Afghanistan and Iraq, Behind the Lines captures the full spectrum of emotions expressed in times of war. Like Carroll's phenomenal national bestseller War Letters, Behind the Lines is part of a larger effort to preserve correspondence that is riveting, insightful, and historically significant. This audiobook is also about Carroll's journey across the globe to visit the fields of battle where so many of these letters were written, meet with veterans and active duty troops who generously agreed to share their private correspondence, and speak with the family members who have lost their loved ones to combat. Behind the Lines is a tribute to those who have fought for freedom, as well as a lasting reminder to present and future generations of the true nature of warfare and the sacrifices it demands of individuals, families, and entire nations. Andrew Carroll is embarking on a 50-state book tour to talk about Behind the Lines and his larger mission to seek out and preserve war letters and e-mails for posterity. Please visit Carroll's website, www.WarLetters.com, for more information about his national tour and to see if he is coming to a city near you. If so, we encourage you to bring your book club to the event, as Carroll would very much like to meet your group, offer insights into Behind the Lines, and share stories (and travel tips) from his journey to 35 countries around the world in search of the extraordinary letters he selected for the book. 1. Andrew Carroll's last book, War Letters, features wartime correspondence only by Americans, while Behind the Lines includes letters by both US and foreign troops and civilians. In the introduction to the new book, Carroll says that American veterans encouraged him to seek out foreign war letters. Does it surprise you that they asked him to do this? Why do you think these veterans wanted him to include letters by soldiers and civilians from other countries who have fought either with or against the United States? 2. Behind the Lines begins with a first-person account of Carroll's trip around the world to seek out wartime letters, and the book includes numerous photographs from his journey. How does this more personal approach affect the way you read the book and the letters Carroll found? Or does it not make a difference? 3. Carroll writes in the Editor's Note that, while the book includes foreign letters from more than 30 nations, he only focuses on wars in which Americans have actively participated. Do you feel this is too limiting? Or would the book have lost its focus by trying to address too many conflicts? 4. Carroll also writes that, both in the US and abroad, people went out of their way to give him letters that are quite intimate and emotional. (See pages 61, 417-422, 428, and 436.) Why do you think they were so willing to share these extremely personal stories? 5. What is your overall reaction to the foreign letters in the book? Do they detract from the US letters or enhance them? Do you find cultural differences in these letters or do they seem similar to those by Americans? How do these letters change or confirm your views of war? 6. Some of the letters in the book are quite vivid and depict combat in great detail. (See pages 135-137, 188-192, 217, and 355.) Why do you think the troops wrote these extremely descriptive letters to loved ones, including to children? 7. What is your reaction to the chapter of humorous letters? What role does humor play in the lives of troops on the front lines and of their families back home? Does it make light of the seriousness of war or does it help those who fight relieve the tension of combat? 8. When we think of war letters, we often think of correspondences written by soldiers, Marines, airmen, sailors, and other combatants. Behind the Lines features many letters by military spouses, parents, and other loved ones on the homefront, as well as letters by and about civilians. Why do you believe Carroll included these? Do you find them as powerful as the combat letters? Should they be considered "war letters"? 9. Similar to the previous question, why do you think Carroll included a chapter focusing on "aftermath" letters? What are some of the emotional issues veterans and their families grapple with in the months and years after a war? 10. "For most servicemen and women -- officers and enlisted personnel alike -- few tasks are more emotionally demanding than writing to a fallen comrade's next of kin. Every word they put to paper will be read and reread by grieving relatives and will affect how that soldier, Marine, airman, or sailor is remembered forever" (page 115). After reading several of the condolence letters, is it your opinion that these letters should be specific or vague about the details concerning a combatant's death? How would you approach writing such a letter? Which type of letter would you rather receive? 11. "Death over here has become such a light matter that I've almost forgotten that it was supposed to be accompanied by sadness" (Joseph Portnoy, page 169). Did reading so many wartime accounts desensitize you to the horrors of war? If so, should the book contain fewer letters in order to create a greater impact? Or did the quantity and diversity of letters help you to better understand all of the different emotions troops and their families experience during a conflict? 12. On page 207 Carroll writes that, although many troops serving today can contact their loved ones instantly by satellite phone or through the Internet, when an especially intimate or personal message needs to be shared, they often sit down with pen and paper and handwrite an actual letter. Why do you think this is the case? 13. How do the e-mails in the book (see pages 213, 218, 276, and 447 for some examples) differ from the handwritten letters, if at all? Or is there no difference? How many members of your reading group still write letters? 14. Are the letters written from past wars -- the American Revolution, the Civil War, World War I, etc. -- intriguing to you? Do the letters from these conflicts seem significantly different in tone or content compared with letters/e-mails from more recent wars? 15. Overall, which letters are the most memorable to you? The most intense? Heartbreaking? Poignant? Funny? Carroll has said that he wanted these letters to cover the full spectrum of emotions (fear, patriotism, faith, despair, courage, exhilaration, etc.) experienced in times of war. Are there any you feel were not represented? Are there any larger themes you believe were not touched on either? 16. What do you think of the structure of the book -- i.e., grouping letters together by subject instead of by war? Would a more chronological approach have been preferable? Why or why not? The format of the Behind the Lines allows you to read the book from beginning to end or to dip in at any page and read a single letter. Which way did you read the book? Why? 17. Carroll writes in Behind the Lines of the difficulty he has determining what makes a war letter "great." What makes a letter special in your own mind? What criteria would you use? 18. "It feels that everyone back in the world is getting on with their lives, finishing school, getting jobs or internships, making friends, planning their future -- and we are frozen in time" (Stephen Webber, page 219). There is such a vast difference between the lives being led by troops abroad and civilians here at home. Does this book foster a better understanding of what these servicemen and women go through on a regular basis? Did anything surprise you about what they have written? 19. How does Behind the Lines or any collection of letters differ from traditional history books? What do these first-hand accounts offer a reader that third-person narratives cannot? And, conversely, are there any limitations? 20. What is your impression of how war is perceived in our culture, especially by young people? Has this book changed your own views on war? Has it inspired you to read more about a specific conflict or the subject in general? For readers in your group who are veterans or active duty personnel (or are related to someone who is or has been in the military), share a wartime letter, e-mail, or story of your own, or recall an experience of someone close to you and describe how war affected his or her life. If you would like to learn more about supporting our troops and/or contributing a war letter or e-mail to The Legacy Project, please visit http://www.WarLetters.com. 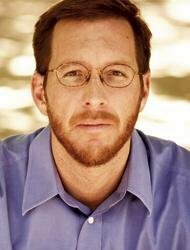 Andrew Carroll is the editor of three New York Times bestsellers, including Letters of a Nation and War Letters. Visit www.warletters.com. Kate Nelligan received Tony nominations for her performances in Spoils of War, Serious Money, A Moon for the Misbegotten, and Plenty, for which she also received the Olivier Award in London. Her films include How to Make an American Quilt, The Prince of Tides (Oscar nom), Frankie and Johnny (DW Griffith & British Academy Awards), Fatal Instinct, Eye of the Needle, Eleni, and White Room. She received an Emmy nomination for her performance on the television series The Road to Avonlea. Academy Award–nominee Stanley Tucci is an Emmy and Golden Globe Award–winning actor who has also been nominated for a Tony and a Grammy, among countless other critical and professional accolades. He has appeared in more than fifty films, including The Lovely Bones, Julie & Julia, The Devil Wears Prada, The Terminal, Road to Perdition, The Hunger Games films, and more than a dozen plays both on and off Broadway. Kurt Vonnegut is the legendary author of dozens of books, including Timequake, Breakfast of Champions, Slaughterhouse-Five, and, with Lee Stringer, Like Shaking Hands with God, which is available from Washington Square Press. Frederick Weller's films include Four Lane Highway, The Shape of Things, When Will I Be Loved, Coyote Ugly, Basquiat and Armageddon. Television series include In Plain Sight (debut USA), The Jury, Law & Order: SVU & Criminal Intent, Pastor's Wife, and Missing Persons. On Broadway he starred in Seascape, Glengarry Glen Ross, Take Me Out, The Rehearsal, and Six Degrees of Separation.